The most shocking thing to come out of this week’s story about 97-year-old Prince Philip crashing and apparently immediately replacing his Land Rover is the fact that the Duke of Edinburgh, husband of Queen Elizabeth II, drives one of the lamest English cars of all time. Prince Philip in a Freelander is funny because Land Rover counts on its cultivated image of royal prestige to sell $100,000 Range Rovers, yet here we have an actual royal, and he’s rolling around (uh, no pun intended) in one of the cheapest Land Rovers that hasn’t even been sold since 2014. I can’t steal the pictures and post them here, but that’s definitely a Freelander, as both the Telegraph and TMZ pointed out. And based on the crash pictures from News.com.au, it looks like the prince was driving an identical one in his wreck earlier this week. They cost about $40,000 when they were new, and today you could get a used one for like half that or less. 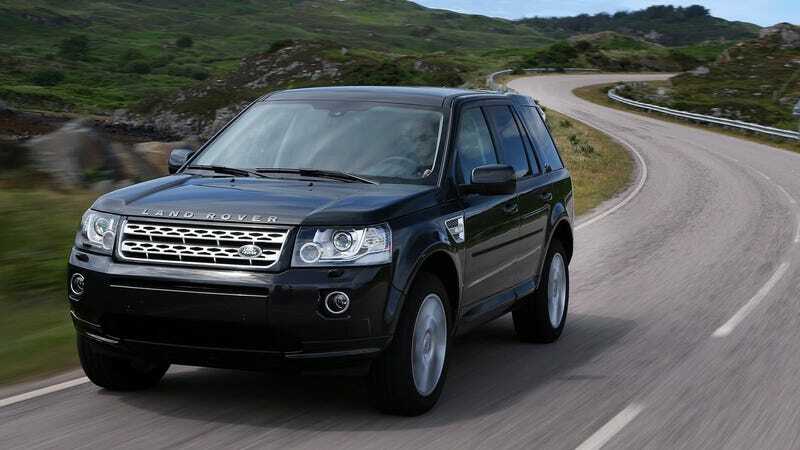 You’d be forgiven for not knowing what a Land Rover Freelander is, or having forgotten about it, since it’s been out of production for about five years now and was called the LR2 in America for its last seven years of life. The Freelander is basically an overpriced RAV4–a practical choice for people who didn’t necessarily have the disposable income to buy a brand-new Range Rover, but wanted everybody within earshot to think that they did. Its natural habitat was in front of a McMansion or a sorority house at an overpriced college. Or on the back of a flatbed. Ha! I’m guessing most people who click on this article will find that funny. Anyway, as to why the prince is slumming it in a Land Rover that most Land Rover enthusiasts would be embarrassed to drive, he’s probably just not into cars. For all we know he doesn’t even have a choice in his method of conveyance; maybe he just gets assigned something out of a Royal Motorpool, which is a thing I assume exists.